My husband and I had a wonderful experience as part of our honeymoon on the new "Wine Education in the Rhone Valley" (june 2013) tour with Marc, who is a wine expert. We were the only two for the morning part of the session, where we went to a vineyard and along the way received an in-depth education on wine in France, particularly the South of France. At the estate we had a tour of the brewing facilities and learned more about the theory and techniques for tasting wine. My husband and I were curious, and had never learned officially had to do this before and it was a fun, eye-opening experience. Marc was so knowledgeable, helpful and funny–it was cool to feel like we were getting a private tour! There were also some yummy snacks and olive oil tasting offered here as well. We soaked everything in and then went for lunch in a pretty town with a castle (Beaumes de Venise). We went back to Avignon to pick up guests for the afternoon section of the tour, where we went to two wineries, including the famous region Chateauneuf-du-Pape. We were joined by a large group of 10 other people and had fun tasting wines together. There was also a pit stop at a castle(Chateauneuf-du-Pape) , photo op in the vineyards and stop at a chocolate shop for more souvenirs. 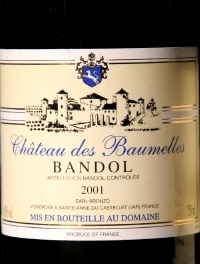 Pheasant is a tasty game, its flesh is intense in tastes and needs wines of character that developp undergrowth aromas but matured tannins in order to find a perfect harmony : our choice went to a Bandol 2001, which must be matured enough now. A blending of Grenache and Mourvèdre : the last one, when getting old is prone to provide game and humid earth aromas. 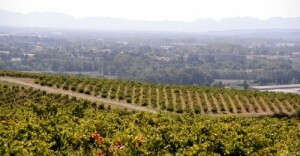 2001 was a year of drought from June to September, grape harvest were dry, it went fast and rather in small volume. 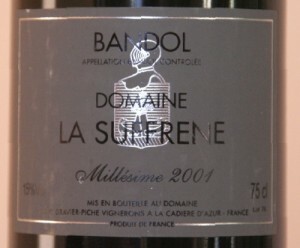 Tasted January 8th 2012 – Domaine La Suffrène 2001 – AOC Bandol – Winemaker : Cédric Gravier at La Cadière d’Azur – Grape varieties : 55% : Mourvèdre, 20% : Grenache noir, 15% : Cinsault, 10% : Carignan. Alcohol : 15%. Medium colour intensity, dark garnet with important brown nuances. The first nose expresses fragrances of truffle which will vanish later. A broad olfactory range : brown spices, humid earth, black crystallized berries, plum,’s jam, soot, laurel and Corinth. The mouth is very powerful and shows a supple attack. 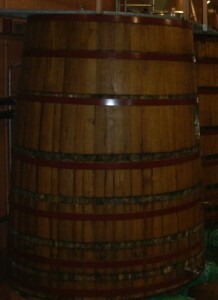 Fatness and volume are balanced by tannins, just a bit dry but grained, dense, growing in the middle of mouth and persist for long time to give a drop of fine bitterness at the finish. The mouth is dominated by concentrated notes of Corinth then dry plum and aromas of torrefaction finished by undergrowth, spices, crystallized blach cherry. Very long, airy aftertaste, with a fine touch minth/cocoa. Very good wine, a bit heady, big complexity. 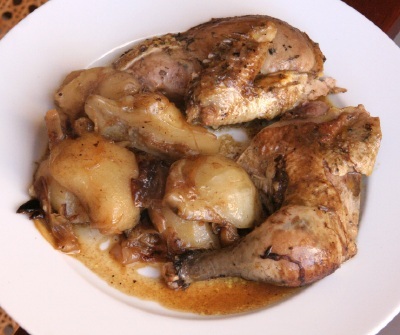 With the roasted pheasant in casserole and Jerusalem artichoke : the firm flesh of the fowl, its slightly dry nature and especially its wild taste was emphasized by this type of baking. Jerusalem artichokes braised in sauce before service, sapid and mellow, brought the sofness to the whole. 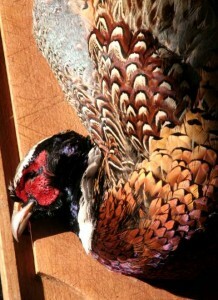 The wine, with its powerful tannins and its envoloping alcohol was perfect on the association fowl and vegetable. 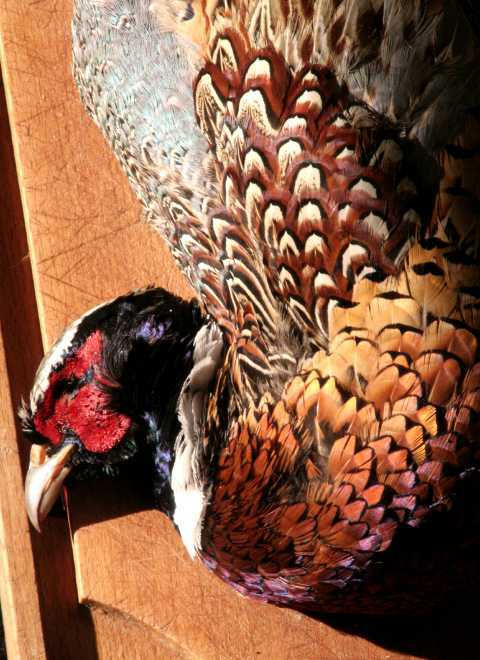 The strong aromas of the pheasant met those of humus of the wine, the smooth tannins merge with the flesh, almost perfect association, intense torresfaction and raisin aromas were sometimes dominating, without weakening : a success, to do again ! Châteauneuf du Pape is a great terroir for white too due to the diversity of its terroirs : the limestone mother plate, rich and deep clayous underground favours fresh balance in spite of the power provided by the sun ! 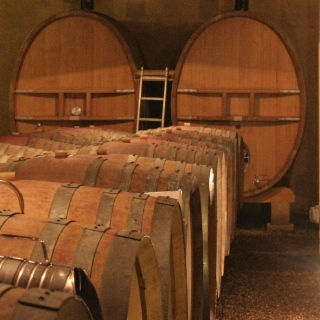 Vintage 2009 : Globaly the spring and early summer were quite fresh, the last rainfalls happened late july. August was very hot, temperature reached 38° to 40° (104 F) locally. Septembre was perfect, hot and dry, equinoctial rains were soft. 2009 was not too windy (Mistral in the Rhône valley). Production : Low yields : 30% smaller than usual. A "winemaker’s vintage" where the ability to pick up grape in the very best moment according to the phenolic maturity was crucial. They had to be flexible and patient : 2009 is characteristic for its concentration. « Northern » grapes (Syrah, Roussanne) sufferted – late ripening grapes like Mourvèdre, Bourboulenc and Clairette produced exceptional wines. Year of the Grenache ! 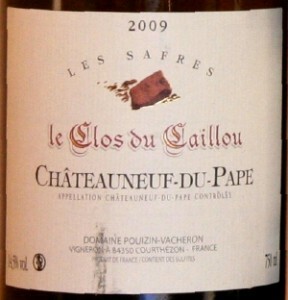 Clos du Caillou cuvée les Safres – winemaker : Sylvie Vacheron – grapes varieties : 60% Roussanne, 20 % Grenache blanc, 20% Clairette – terroirs : Pignan and Bédines – maturation 9 months mainly in small casks – malolactic fermentation blocked – Alcohol : 14,5%. Pale gold, shinning. Oaky scents followed by fresh fragrances like sage, flower, fresh almond. Large mouth, fat marked by oak maturation, Exuberant aromas of yellow fruits (peach…), almond balanced by a spicy freshness. Creamy finish, quite long. 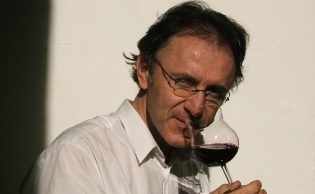 Domaine La Solitude – winemaker : Florent Lançon – grapes varieties : Grenache blanc : 30% – Clairette : 30% – Roussanne : 25% – Bourboulenc : 15% – Blocked malolactic fermentation – maturation 8 months on lees with bâtonnage, Roussanne in new barrels. Alcohol : 13,5%. Pale gold, very shinning. The nose shows a strong minerality, crushed leaves, lime, peach stone, and a hint of yellow fruits. Fluid attack with a lovely mellow texture. Mineral aromas and lime are blending with honey flavours then anise, frangipani and yellows fruits notes in a juicy powerfull structure, well balanced with finesse. Light aoky notes. 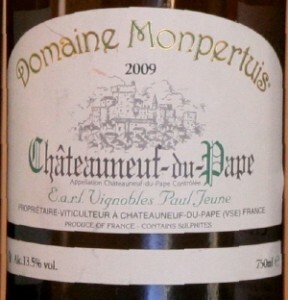 Domaine de Montpertuis – winemaker : Paul Jeune – grapes varieties : Clairette : 30%, Clairette rose : 20%, Grenache blanc : 20%, Bourboulenc : 20%, Roussanne : 10%, Terroir : Mont Pertuis – 4 months vinification and maturation in vats. Alcohol : 13,5%. Pale gold, shinning. The nose is frankly on honey, almond flowers, stone of peach, pear. Fluid attack on honey sweet followed by fresh and fine green notes, then lilac. This wine has a nice mineral limestone like grain that going on well with the fatness ; fresh peanut and white flower aromas in mouth. Fresh and acute finish on verbena flavour, very long. Domaine Raymond Usséglio – winemaker : Raymond Usséglio – grapes varieties : Grenache blanc : 40%, Clairette : 20%, Roussanne : 20% – Bourboulenc : 20% – Blocked malolactic fermentation, 10% matured in oak, 90% in vats, for 6 months on lees. Alcohol : 14,5%. Pale gold, shinning. The nose is quite oaked with immediately exotic notes of dry banana, crystallized pineapple and a floral touch like bluebell. Round attack with a fine acidity underpinned by a quite exciting salty sensation . Exuberant aromas of yellow fruits reinforced by oaky notes now in the front. A bit burning. Fresh finish on torrefaction aromas. 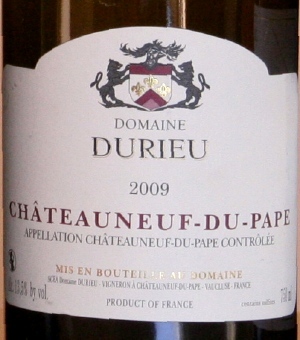 Domaine Durieu – winemaker : Vincent Durieu – grapes varieties : 70% : roussanne, 10% : Grenache blanc, 10% : bourboulenc, 10% : clairette – maturation 6 mois in stainless steel vats – Blocked malolactic fermentation – terroir : Cabrières. Alcohol : 13,5%. Gold colour with green hues, very shinning. Very mineral nose, squeezed vegetal notes, almond, green freschness. 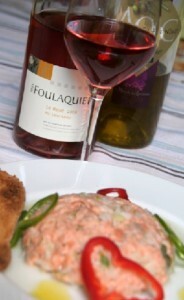 Round attack, this wine kickly shows a slender fluid mineral sensation. 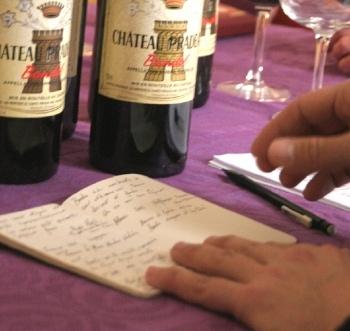 Evolves on dry fruit aromas (almond, hazelnut), flowers , green apple to finish on honey notes. Nice freschness, in a sober and intense style. Domaine La Barroche – winemaker : Julien Barrot – non commercialized cuvée – grapes varieties : Clairette : 70%, and 30% Grenache blanc, Bourboulenc and Roussanne, terroir : Pialon or Pied Long, maturation in vats. Pale gold, shinning. Graceful nose with a beautiful white fruit like peach and litchi, menthol, almond, wisteria and wax. Suave mouth without exces of fatness, cristalilzed pear, apple, bitter almond, marzipan . Mellow mouth with a prominent mineral grain, a touch exotic fruit then pear liquor, fresh finish, marvellous balance, quite long. 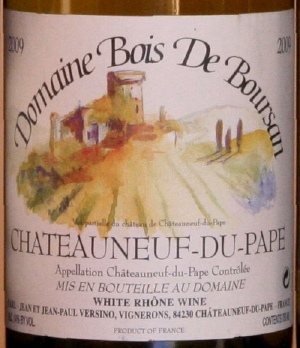 Domaine de Bois de Boursan – winemaker : Jean Paul Versino – grapes varieties : Grenache blanc : 35% – Clairette : 35% – Roussanne : 15% – Bourboulenc : 15%. Blocked malolactic fermentation – matured in oak for 20%, 80% in vats, for 6 months. Alcohol : 14%. Pale gold with amber hue. Buttery nose followed by yellow fruits scents. Pleasant meaty attack on stone of peach notes then rancid butter, brown spices Tropical fruit aromas are rising next with a quit "hot" burning sensation. Green apple on finish with a salty hint. Conclusion : 2009 is a powerful vintage, winemakers were able to take advantage of this type of climate, offering wines in a straight style and a sober aromatic definition like Domaine Durieu, La Barroche and Montpertuis : in these case mineralité is the main quality. 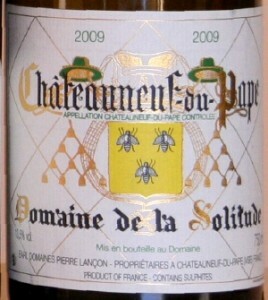 Others made them wine through a light oak maturation as Domaine la Solitude, delicate and elegant. 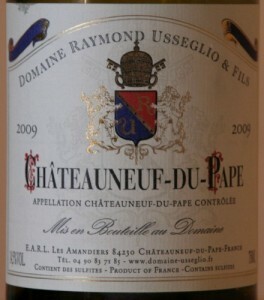 Clos du Caillou and Raymon Usséglio vinified more powerful wines, fattier, more aromatic, showing a more exuberant style. 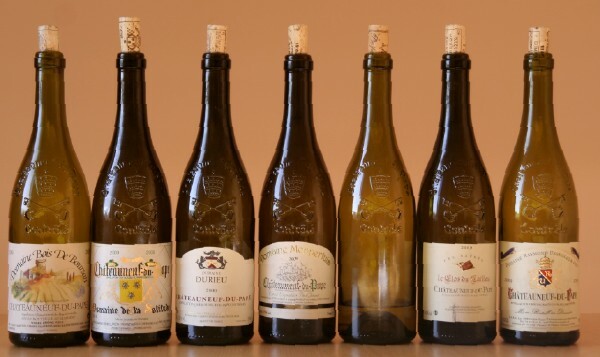 The choice of varieties and blendings prove various results : Domaine Durieu (with 70% Roussanne) without oak maturatione shows a totaly different profile as Clos du Caillou (with 60% Roussanne) matured in oak – Clairette, variety that should be more recognised, gives the identity to the most of these cuvée producing floral and fresh notes. 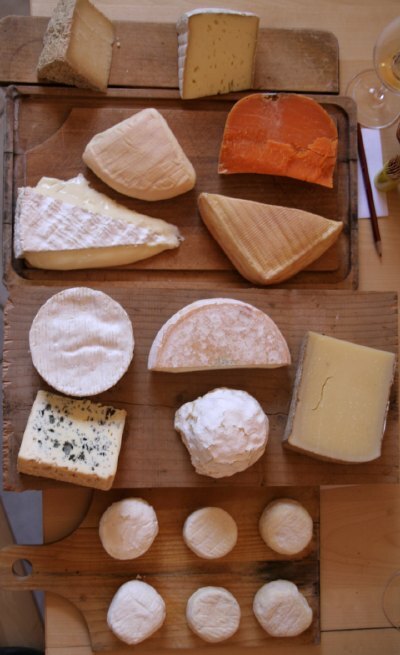 Matching Châteauneuf blanc and cheeses : 14 various cheeses were gathered : very fresh goat cheese, creamy goat cheese , medium dry goat cheese, fresh ewe cheese from Lozère, medium dry ewe cheese from Corse, old Comté, Gaperon, old Mimolette, Camembert, Brie de Meaux, Maroille, Munster, Bleu d’Auvergne, Reblochon. Non oak wines were always prefered on cheeses except on Bleu d’Auvergne where wine "matured in oak" like R.Usséglio and Clos des Caillou offered a better association. Ewe and goat cheese were always best prefered for its perfect association. Comté and la Mimolette were excellent on wines undepinning more sweet notes. 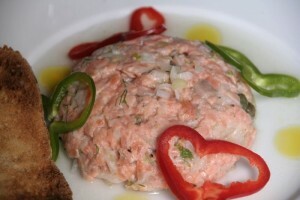 Few unexpected good surprises like Maroille and Gaperon (cow milk with garlic !) were very pleasant. Brie and Camembert gave violent sensation in mouth, Munster had a too stron personality ! This year was considered for being precocious for its very hot spring with up to 3 weeks in advance. Freshness of summer postponed the date of crop, which finally was only week precocious . This vintage 2011 still shows an unfamiliar climate. Here and there, all around the méditérranéen , winter was cold and humid, but short. Advanced spring with a hot wave at the beginning of April, dryer and hotter than usual (which would have brought grape harvests in mid-august !). Very hot temperature towards mid-May with varying from 30 to 35 °C. Surprising a cold period in early june, from 13 to 15 °C followed by strong rain falls and winds. In June alternation of cool and hot temperatures because of irregular rainfall. small yields : good phenolic maturation. high yields : late maturation, rot and lack of colour. Séverine Lemoine from Domaine de la Rocalière on Tavel et Lirac appellation is very satisfied : larger crop than previous years du millésime for Grenache noir ( that demanded more work and attention : " I had to be patient and to deserve it"). In spite of bigget crop, due to good fecondation during the blossoming, this grape hadn’t shot berries. this features preserved acidity. Strangely sugars had tendency to be ripe before skins. Mistral (the wind) and draining ground preserved grapes from rot. " 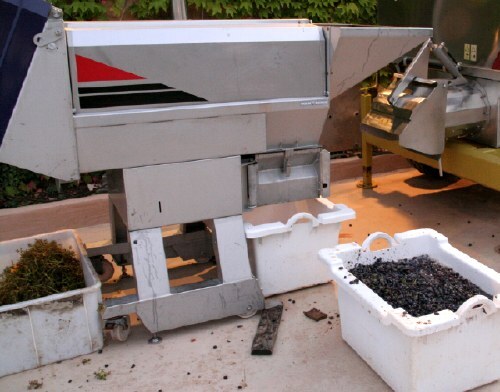 this vintage will give a large scale of products, where the date and the mode of harvesting (hand harvesting, sorting) will have all their importance!" At Gigondas at Domaine des Bosquets managed by Julien Bréchet, confirms the late maturity of skins and sugars, resulting dgood acidities. Big job to do in the vines : thining all the leaves was necessary, green harvesting, sorting up to 15% of the crop. But we had a perfect quality with high degrees. On the same terroir, Jérôme Maillot, vineyard manager at Longue-Toque establishes the same comment : high quality with a big diversity of maturity according to the terroir : "it’s going to be a vintage of winemaker". 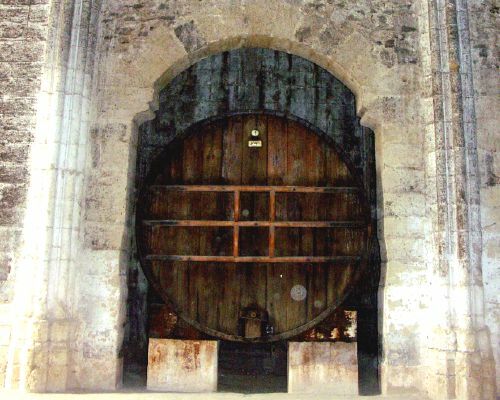 At Châteauneuf du Pape, wimakers are rather satisfied, like Christian Voeux who manage Château la Nerthe : " because of the nice weather of the septembre, sanitary condition was perfect. Grenache, had no shot berries, quite productive young vines, nedded green harvesting" Still at Châteauneuf du Pape, Stephan Brun from Domaine Juliette Avril said there’s a great variation in maturity between north and south of the appellation : harvest laster for 3 weeks (10 days only in 2010). Julien Barrot from Domaine de la Barroche tells us, in spite of the exceptionnel indian summer, the harvest period was quite spread in time hence a fresh and fruity style for grapes harvested early ; more concentration and density for wines resuslting of the second period. At the northern tip of southern Côtes du Rhône, Elizabeth et Marie Laurence Saladin, from domaine Saladin said it was a year of adaptation : terroirs with round pebbles resisted better, green harvesting were necessary on Grenaches et Mourvèdres on clayous ground to regulate volumes. Marie Laurence said : "maturity were strange and we had to work more carefully on blendings : secondairy grapes benefited of the sunny late septembre. Syrahs and Clairettes pink where harvested few days before usual, perfect Carignan and Mourvèdres nedded time to ripe, Grenaches required more attention, white are outsanding." Same statement : early spirng, cool summer, hot and sunny harvests. At Aniane, the had 44mm rain in July (average in July : 13 mm), T° din August was 10°C (average T° nights and days). This balance sheet is to modify according to the nearness of the sea or the altitude. Volumes are the most important since 2004 with a high qualitative aspect. 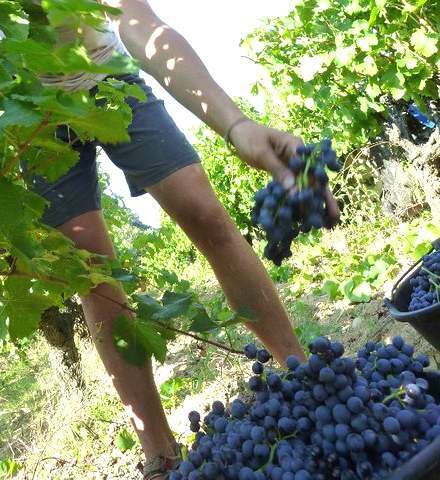 At Daumas-Gassac in Terrasses du Larzac area, Samuel Guibert, harvest for red went from 13 to 24 septembre, said that slow maturation due to the mild temperatures and cool nights are giving acidity and subtil aromas. North to Béziers, in Faugères appellation, Domaine Ollier-Taillefer is satisfied with this cool vintage with a sunny septembre : Grenaches gave normal yields (bigger than usual) 38hl/ha versus 29 hl/ha previous years : more fruity and crunchy. Globaly other grape are superb ; we had to wait for the phenollic maturation hence high alcool level but acidity is preserved ! The same sound at the of the Rhône river. 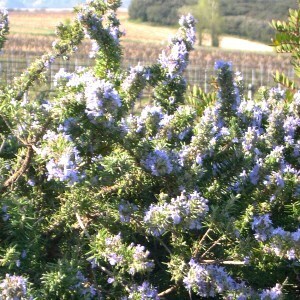 In Provence, they underline the variation of T ° day and night which favour the synthesis of phenols: this vintage would be better for reds, they bless the Mistral which avoids the phytosanitary treatments: conclusion comes down in a normal maturity of sugars with a ripper conditions of the skins. Neil Joyce, winemaker at Château Dalmeran in the appellation Baux de Provence, said 2011 is close to the 2007 style ! no shot berries on Grenache and all the grapes had and harmonious maturity : "with this vintage we have colour, finesse of tannins et acidity". It is necessary to say that this north orientated appellation is particularly subject to the Rhodannien wind. At the foohill of Sainte Victoire mountain, Mis Guichot manager of Domaine de Saint Ser, is very happy with this vintage. Grenaches were healthy, as other grape varieties. It is owed to the specific terroir in altitude swept by the Mistral. She adds that rosés and whites have are more fruity, reds enoughpower, probably a little less acidity than 2010. 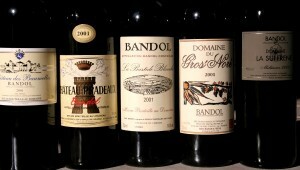 At Bandol appellation, we are globaly positive at the domaine Souviou. Even if Grenache are little not as nice, vintage gave superb crop, with quite high alcoholic degrees. 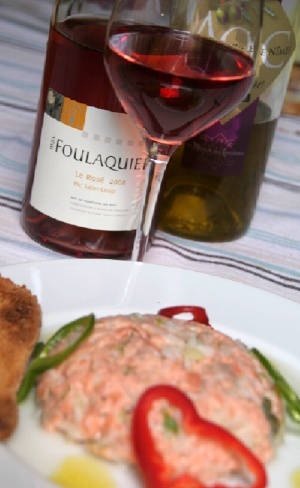 Reds are powerful with enough – white and rosé are on the fruit, power and freshness. 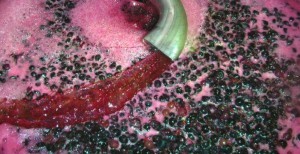 2011 is a vintage of winemaker and terroir ! Grenache, proned to suffer shot berry (coulure in french), formed big bunches, full and very juicy (the coulure regulates this vigorous grape variety of course) giving a yielding of 20 % more than 2010, which under the effect humid and cool summer could lead of the brotrytis on the more humid and cooler lands. Grape harvests in green,thinning and sorting grape during harvests were necessary according to appellations. That leads to late maturity on Grenache, to less intnese colours. In the Rhône Valley, good terroirs show a best result, of course! 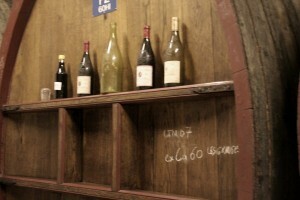 In that case, the style of that vintage would get closer to the concentration of the 2007 or 2009. In Mas de Theyron "we are working with a respectful attitude toward our environment, as it is the most essential source of the elaboration of our fine and elegant wines". The soil is naturally cultivated with organic compost and nutriment, any pesticides since the reorganisation of the parcels in 1998 were discarded. The process for the AB label-organic farming was completed in 2010. Why are we producing laying down wines ? Because it is especially during the winemaking process that our grapes reveal their great wines potential. 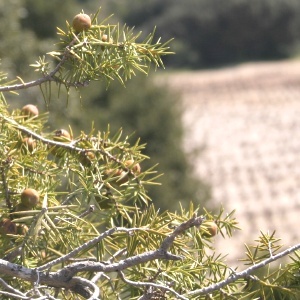 Our " terroir" is geologically and typically as St Christol’s one (20 km east of Montpellier). 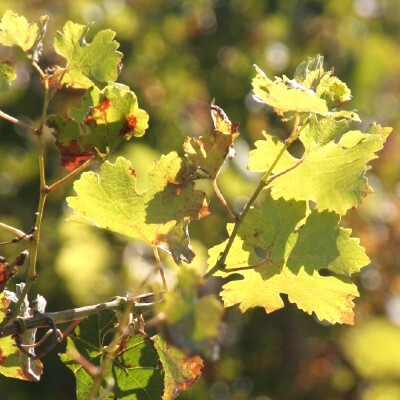 Our Vin de Pays (VdP) are growing on a mix of clay and limestone soils in different slopes covered with gravels and our Appellation AOC wines are on "villafranchien" type of soil (4 to 1 million years BC) with pebbles. Harvest of our parcels starts with a selection of complete maturation area and all is hand-harvested. A rigorous selective sorting and the soft destalking and trampling of the grapes allow the development of an optional quality. Traditional and classic vinification at controlled temperature, completed with a long-term maceration contribute to the soft extraction of aromas, colour and tannins. Aging of red wines is done in cement vats, wooden vats and French oak barrels. We are using around 20% of new barrels every years, in order to keep a very fine progression of our wines during 9 to 18 months. Our different "cuvées", bottled at the estate, are pursuing their maturation before marketing in our large temperature controlled stoking cellar. Therefore, for the best tasting qualities of our Languedoc wines and fulfilement, our current vintages are in 5 and 8 years old. 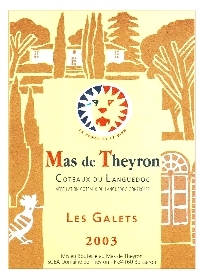 Besides fashion and New World influences, wines of Mas de Theyron belong to the best discoveries you could do, for a truly appreciation. 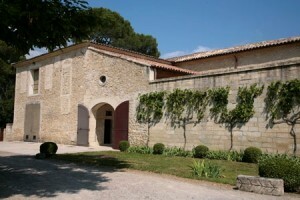 Le Blanc VdP : ground : well-drained, mix of clay and limestone, a lot of gravel. Vines planted in 2000. Yield : 35hl/ha. Grape varieties : Roussanne : 25%, Viognier : 19%, Marsanne : 18%, Chardonnay : 18%, Chenin : 13%, Clairette : 6%, Muscat : 3%. Ageing on lees 30% in oak barrels. 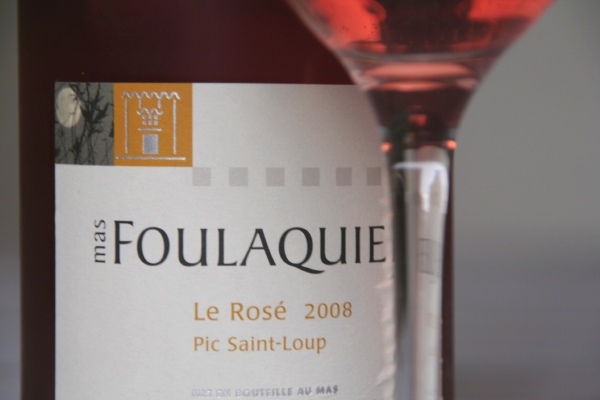 Le rosé VdP : ground : well-drained, mix of clay and limestone, a lot of gravel. Vines planted in 1970. Grape varieties : Cinsault : 32%, Syrah : 29%, Carignan : 21%, Cabernet-Sauvignon : 18%. Yield : 42 hl/ha. Rosé de saignée, vinified at contolled temperature in stainless steel tanks 16° C .
Rouge VdP La Bénovie Les Amandiers : ground : well-drained, mix of clay and limestone, a lot of gravel. Vines planted in 1980. Grape varieties : Merlot : 40%, Tempranillo : 25%, Cinsault : 18%, Carignan : 14%, Syrah : 3%, small Yield less than 40 hl/ha, vinified at contolled temperature for 28 à 35 days. 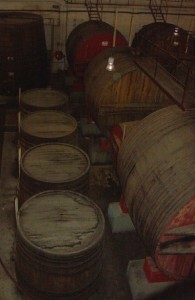 Ageing 9 month in barrels (70%) in concrete vats (30%) no filtration nor fining. Rouge AOC Les Murettes : ground : Villafranchien (mix of clay and limestone covered with pebbles), Vines planted in 1970. 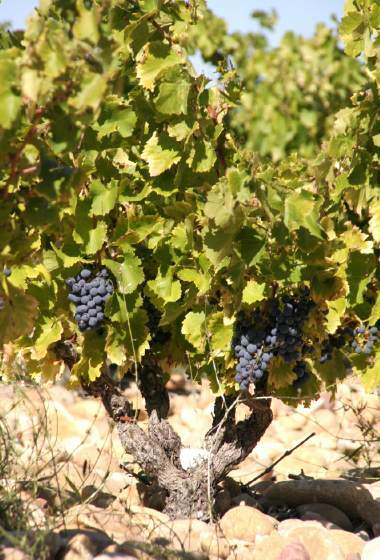 Grape varieties : Grenache : 40%, Syrah : 28%, Carignan : 25%, Cinsault : 7% – Yield 35 hl/ha. Long vinification at contolled temperature for 28 to 40 days, matured in barrels one to four years with 20% brand new barrels, no filtration nor fining. Rouge AOC Les Galets : Grape varieties : Syrah : 80%, Grenache : 15% et Carignan : 5% ground : Villafranchien (mix of clay and limestone covered with pebbles), Yield between 20 and 25 hl/ha, long macerations of 28 to 40 days, matured in barrels 12 et 18 months with 20% brand new barrels, no filtration nor fining, produced only in exceptional vintages. 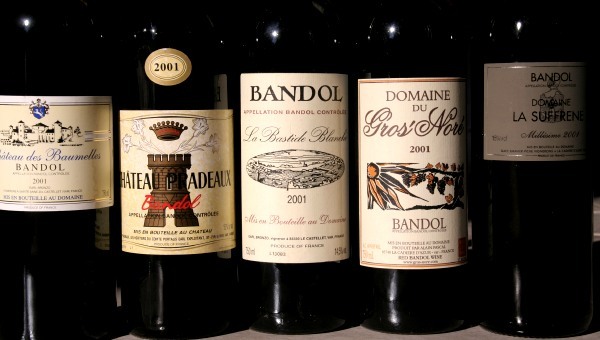 Bandol is one of the best appellation in France. Hot and sunny climate, taking advantage of a mild sea breeze,. The best Mourvèdre based wines in the world are to found there. This kind of tasting enable to appreciate nuances resulting from ground and underground variations and the ability of the winemakers to produce outstanding wines. 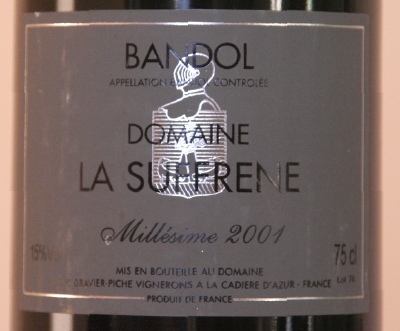 Millésime 2001 : The winter was mild and damp. 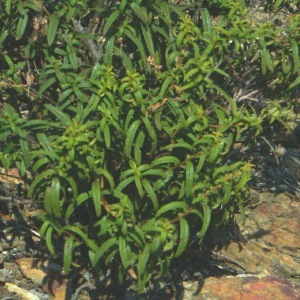 Vegetation grew late marsh, 10 days in advance to 2000. Humid april brought diseases. 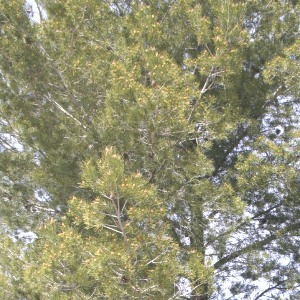 Mid april, a cold wave slowed down the vegetation growth. Good development of the foliage system mid may. 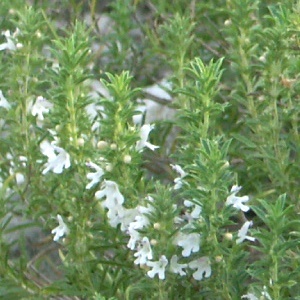 The heat increased phytosanitary diseases. Early setting of the vine, 10 to 15 days in advance with a quite important shot berries on Grenache. Normal véraison (change of colour of the berry). The drought lasted 4 month from june to septembre hence an early and fast maturation of the grapes. 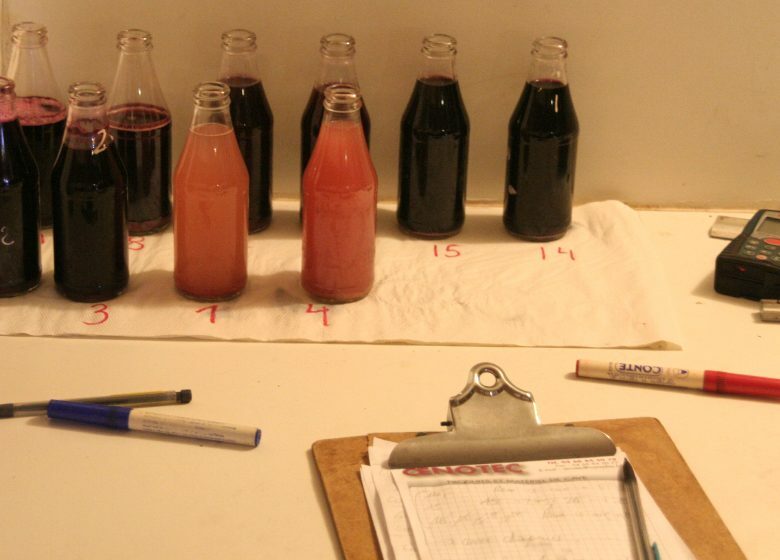 Sugars matured before polyphenols resulting in a slight difference in the balalnce. The yielding were 20% smaller than a regular year with small bunches of grapes, advanced havest in dry conditions, however acidty were preserved. Wines : good colour extraction. 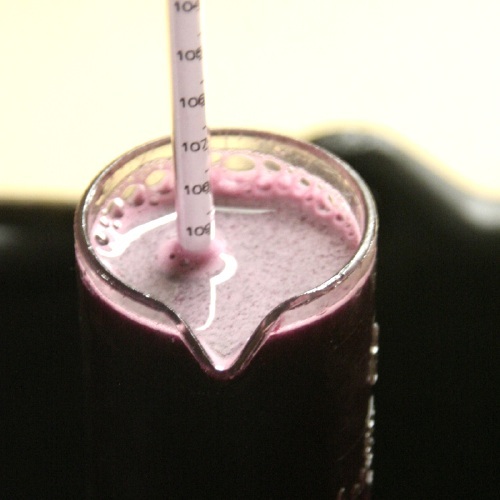 Vinifications were somtimes difficult (with stop in the fermentation process, malolactic fermentation long lasting) on wine having a higher alcohol content than usual. A good vintage on the whole. Tasted : november 28th 2010 – winemaker : Cédric Gravier – grape varieties : – Mourvèdre : 55%, Grenache noir : 20%, Cinsault : 15%, Carignan : 10% – Alcohol : 15% – Terroir : sandy and silty, limestone and clayous. Still a dark intensity with a brick rim. Fresh nose showing spices, soot, leather and then after oxygenation black ripe fruits. Supple attack with lovely grained tannins, a bit powdery. 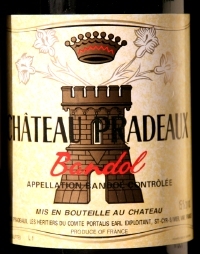 This Bandol reveals a tight textured bodyness, fluid and appetizing. Rich and dense aromas on raisin, ligth vanilla touch, ripe black berries and spices. The style, balance and finess, summon voluptuousness. 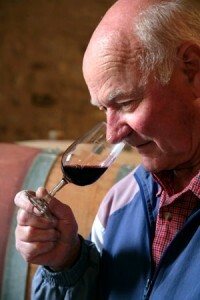 The tertiary aromas are still retained at the moment, what a youth ! Long caressing finish on blackberry sirup flavour. tasted : november 28th 2010 – winemaker : Cyril de Portalis grape varieties : 80% : Mourvèdre, 15% : Grenache, 5% : Cinsault. – Alcohol : 15% – 100% Undestemmed – Terroir : clayous-limestone with limestone underground. 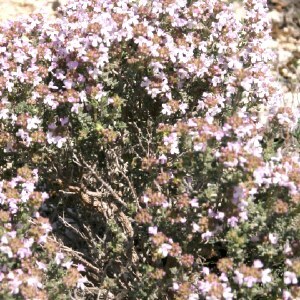 Medium colour intensity, brownish rim. The nose is a bit shy at the beguinning, exhaling plum, stone fruits, dust and old wood. After airing, intense scents of garrigue (cistus, bay) and burnt wood. Fulbodied and frank attack. Forthright tannins pull off in power during the tasting. Old wood flavours are coming back, followed with plum and spices to vanish an lanolin and bay aromas. Well balanced, good length, in a rustic style ! Tasted : november 28th 2010 – winemaker : Alain Pascal – grape varieties : 80% : Mourvèdre, 15% : Grenache, 5% : Cinsault. – Alcohol : 14% – Terroir : clayous. Very dark colour, very deep, carmine hue. The nose delivers a load of crystallized fruits like plum, cherry, and raisin. Progressively, scents are going to spices (nutmeg), smoke, soot and garrigue. Powerful attack that doesn’t masks the fluid texture. Present but mild tannins, in spite of its stoutness, this wine is impressive for its graceful style. Flavours of plum brandy, jammed black fruits, burnt wood, resin that finish on a fine chocalate after-taste. The tannic sensation is spreading up to the very end with a thyme note. Powerful and elegant ! 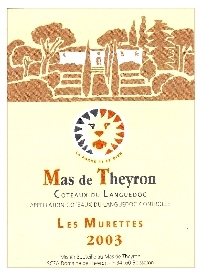 Tasted : november 28th 2010 – winemaker : Stéphane Bourret (the same as La Bastide Blanche)– grape varieties : 90% : Mourvèdre, 10% : Grenache – Alcohol : 14,5% – Terroir : clayous-limestone with marl underground. 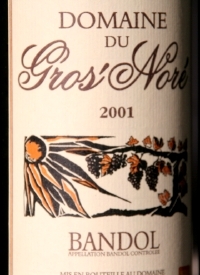 anilla, burnt wood, garrigue, coffee liquor, plum…Light and airy finish, lingering for a long time – wonderful ! 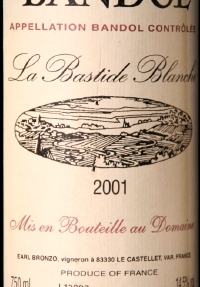 Tasted : november 28th 2010 – winemaker : Stéphane Bourret (the same as La Bastide Blanche)– grape varieties : 90% : Mourvèdre, 10% : Grenache – Alcohol : 14,5% – Terroir : stones and gravels based on clayous-limestone underground. Very dark wine with a brick rim. Animal scents at the beginning, with oxidation, nicer fragrances are evapourating. Leather, burnt wood, vegetal notes (dry mushroom) then plum liquor. Very soft attack, fluid and easy going. Tannins are rising quickly in a tense-like sensation. Perfect tight texture, nothing is heavy, this wine show a dynamic style. Graphite, spices, plum are dominating in a light vanilla atmosphere. Powerful and elegant, this wine lingers in mouth before vanishing on black berries and undergrowth aromas. To go with this matured, robust but elegant wines, we shared a lamb leg cooked with garlic, served with bette with a reduced wine sauce cooked with mushrooms (porcini, chanterelles and button mushrooms) ans shallot : a good association ! My concern is to speak about honest and frank wines. 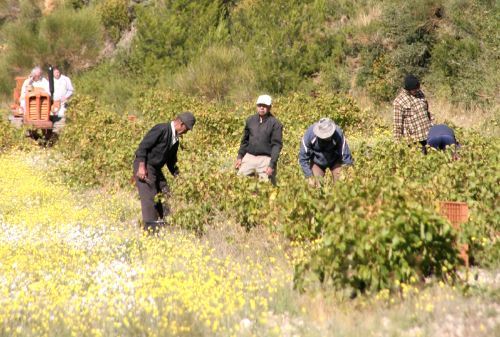 I’m only seeking for winemakers trying to understand how the ground is working to satisfy grape varieties to produce something good. I don’t care about styles : oaky or not, new world style or terroir wines, brand or tradition, fulbodied or ligth : my only interest is the balance. What a wonderful discovery to understand the strategy of each grower, attempts they realized to adapt to ground influences and vintages to achieve them wine ! Of course, paying attention on the size and age of oak barrels is necessary to appreciate cellarmaster ageing strategies, but shouldn’t we focus more on our innate tasting ability rather than intellectual skills ? 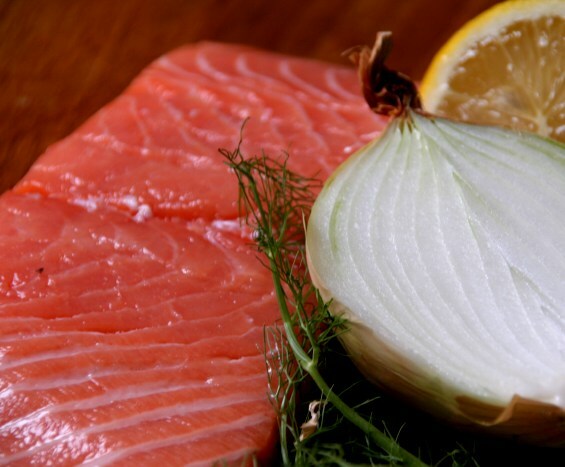 The more I taste, the better – that makes sens ! I’m bored now with the wines I loved, I prefered reds in the past, I’m looking for the quality of tannins now, I was dazzled with complex maturation – purity of fragrance and austere minerality fulfil my search of perfection. When we understand how difficult is to ripe a perfect crop, how risky it is to wait one or two more days to harvest, how expensive organic strategies may be…I feel all the humility a wine lover must get in front of a glass. To penetrate the wine potential, I always try to imagine the scenery, the ecological balance, the rock and the wind that helped grapes. 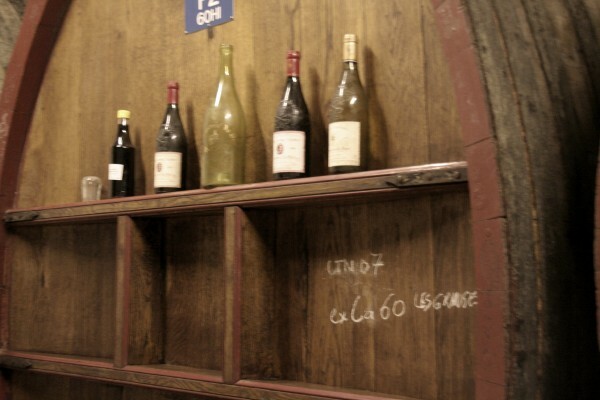 No chance for industrial wines – only good, underrated, small producers that flock in south of France and the great names, of course, that beacame brands as Beaucastel or Tempier ! When its good … wine talks, nothing else ! The length of maturation, the use of enological products, temperature, nature of wood affect the result. 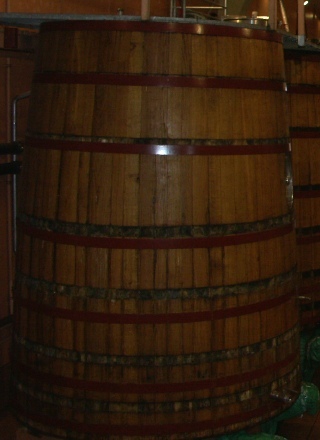 Mastering maturation in barrel (220 litres, 600 litres or more than 2000 litres or foudres) must be managed with care and knowledge. 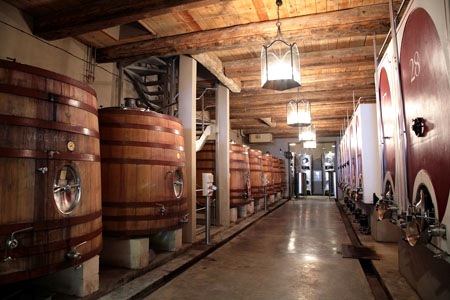 Using oak barrels imply a wine more sensibility to acetic, lactic bacteria and bad yeast….Volatile acidity (like vinegar) may increase 0,1 g per litre with re-used barrels and 0,2 g per litre with new barrels. 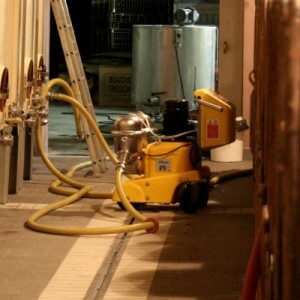 In oder to avoid « brettanomyces » taint (a yeast) to the wine, bringing unpleasant flavours, the wine master has to be vigilant on cleanliness. He has to top up carefully each kegs, to keep the cellar at 18°C (64,4°F) maximum and to make sure that free hydrogen sulfite is 25 mg per litre minimum. Maturation in oak leads to a micro oxygenation also named oxydoreduction. Air go through the staves and all tiny gaps in the barrel, that brings a regular oxygene incorporation all along the period of maturation, going to polymerisation improving the global quality. Non volatile components (phenols) of the oak (there a great deal of variation according to the origine of wood and its drying process) are solvate in wine. That may sometimes bring an harshness to the wine, if its the quality and its tannic structure are not able to undergo oak. 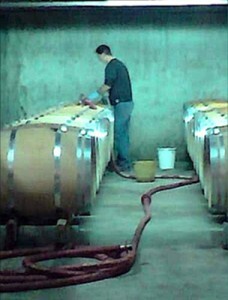 Some volatile components that may be found in oak (as lactons, phenols, aldehyds…) or resulting from the drying process or burning (as phenylcetons…) may be extracted. 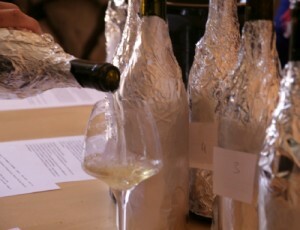 Flavours as clove, vanilla, almond or grilled almond, caramel, toast and smoke can be found in the wine. The way to dry the wood and the amount of burning may change the quality and quantity of volatile components, then bringing complexity or mask the natural charm of the wine, if this one is not able to resist maturation to improve. A strong burning gives : smoke, soot, coffee, caramel aromas as well as a light tanic extraction and a light sugar taste. A medium burning gives : complexity, grilled aromas, spices, vanilla, cocoa, and a light sugar taste. 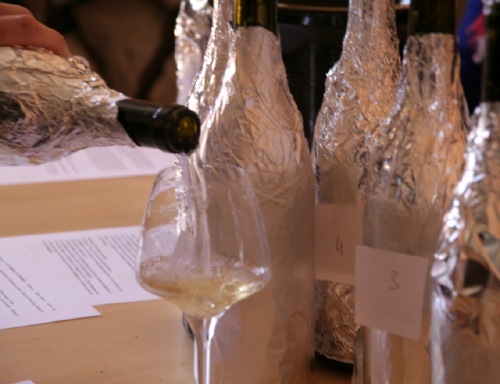 A medium burning gives : mineral aromas, fresh oaky flavours and tanins. 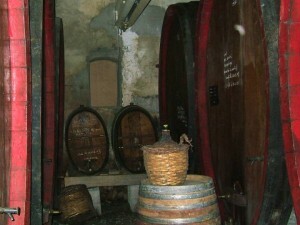 Filling the cask while the wine is still hot (just after the alcoholic fermentation and before the malo-lactic fermentation) may increase the quality potential of aok maturation, but that increases microbiological risks. To take advantage of the oxydoreduction principle, the maturation must last at least 6 month. Only the tasting of all casks in parallel with chemical analysis can correctly assess the perfect evolution of each barrel, the duration of the maturation and the potential of each wine.